MGM is celebrating 90 years! And they are featuring movies we all love! And I am so excited to be able to bring you some of them, and offer a giveaway so you can introduce them to your kids, a whole new generation to appreciate the classics! Here are three MGM movies I totally love! ● Families can discuss which part of the story "really happened" and which was make believe. ● What would you do with a car like Chitty Chitty Bang Bang? ● What kinds of things would you like to invent? ● For older kids: Why were the people of Vulgaria depicted as fools? How do real-life political events affect movies? Can you imagine looking back at today's movies and recognizing how politics influenced them? 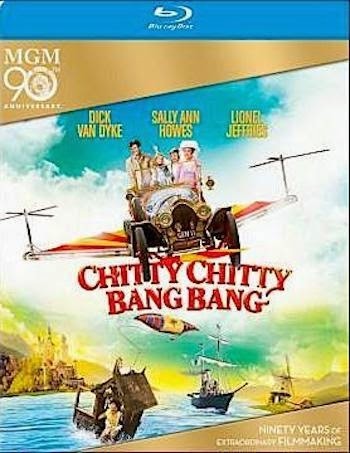 Chitty Chitty Bang Bang: screenplay by Roald Dahl and Ken Hughes, based on the Ian Fleming novel; directed by Mr. Hughes and produced by Albert R. Broccoli; a Warfied Production presented by United Artists. At Loew's State 2, Broadway and 45th Street. ● Forgiveness and earning trust. ● Families may also want to discuss why it's important to keep your word, as Charlie eventually did in the film. ● Why did Charlie change his ways? ● Why is it important to forgive people who earn your trust back? ● Also, how could Anne-Marie's friends make her feel more loved and wanted? ● How do we make our friends feel loved every day? ● Families can talk about what makes for a really good adventure/love story. Is it sword fights? Swamp creatures? Handsome leading men and beautiful ladies? How does this movie poke fun at some of the standard fairy tale elements? ● In the end, why didn't the little boy mind the kissing scene in the story as much as he thought he would? Check these out, and more at MGM 90th Anniversary on Tumblr! Good luck winning these 3 DVD's! I'd like to win this because these are delightful movies. Our daughter loves The Princess Bride. I would like to win because these are great movies the family would enjoy. I would love to see "Chitty Chitty Bang Bang" and "All Dogs Go To Heaven" again. And "The Princess Bride" for the first time! This would make a great gift for my kids! 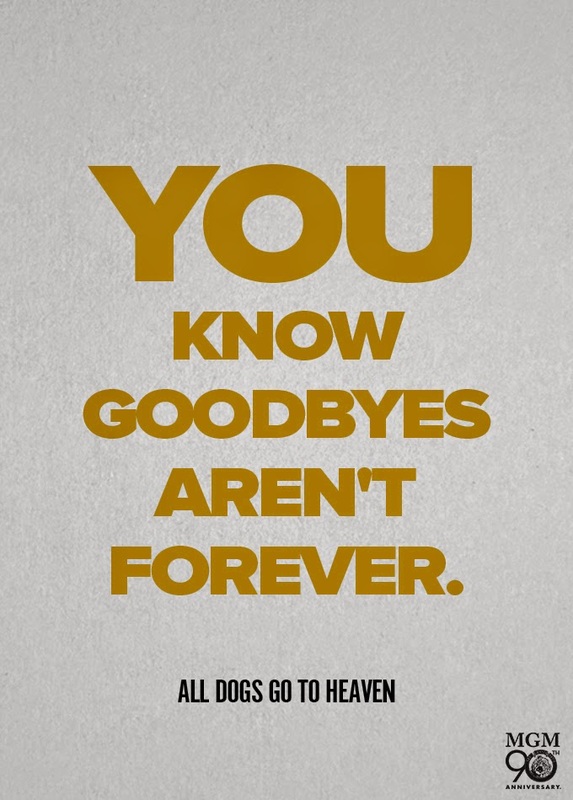 All Dogs Go To Heaven is one of our all time favorite movies! Thanks for the chance! I would love to win this as we love to watch movies together as a family & I know we would all enjoy these family movies! I would love to win these so I could watch them with my grandkids. Such great movies! 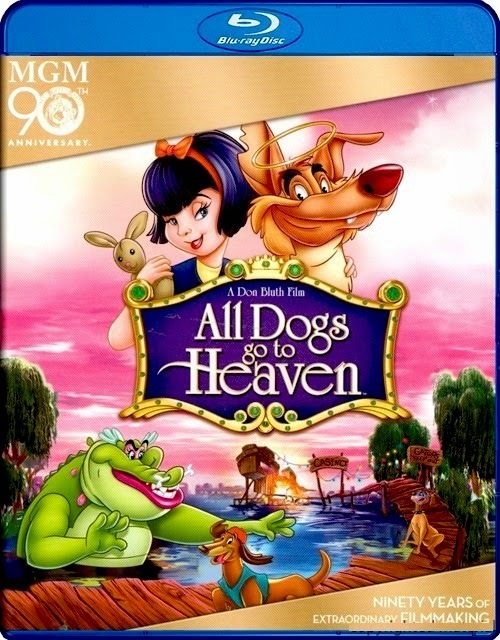 I would love to win this because I loved All Dogs Go To Heaven as a kid! 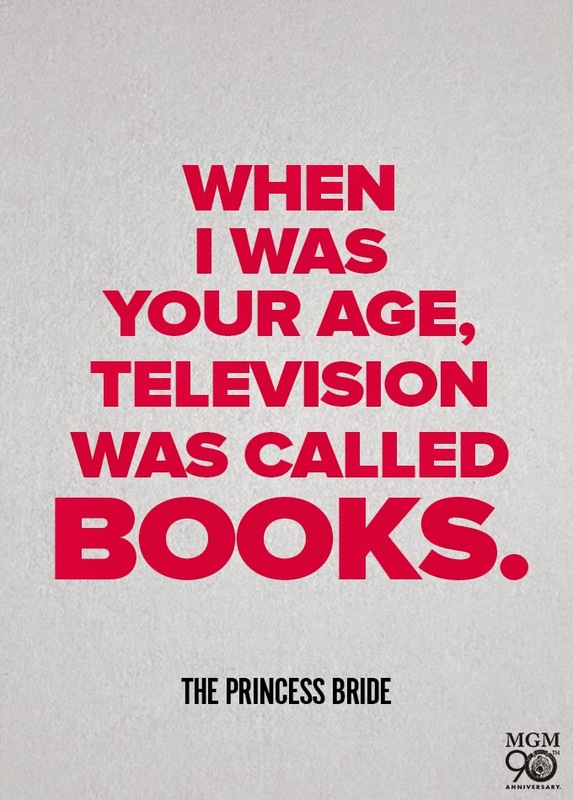 I've actually never seen Princess Bride, but heard it's really good! This is certainly going to age me. These movies are all dear to my heart. In fact, "Chitty Chitty Bang Bang" was the first movie I saw on the big screen! Yep, I'm that old and I would love to share these with my little grandsons! I would love to win because these are great family movies, and when our grand kids come to visit we all could enjoy them together for movie night! 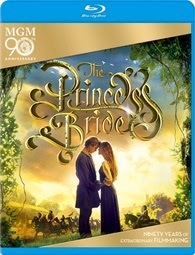 I want to win this prize because The Princess Bride is one of my favorite movies. I don't think my daughter has seen any of these movies even though I grew up watching them. In fact, Princess Bride is in my top 3 favorite movies of all time. I love classic family friendly movies and would love for the grandkids to see them. I would like to win these movies for our Family Movie Night. 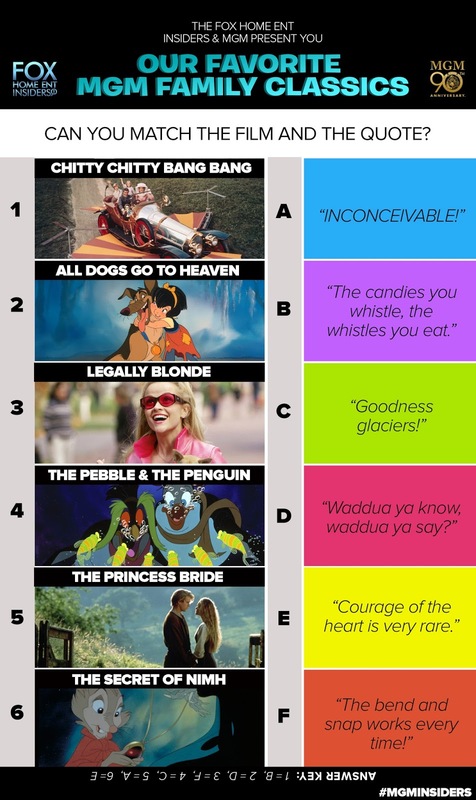 I remember these movies from when I was young. I'd love for my kids to see them!! These are 3 of my family's favorite movies..and we don't have them on DVD! My daughter hasn't had the opportunity to see any of these 3 amazing movies. They are classics and I think that she'd love them, especially All Dogs Go To Heaven. When I was a little girl that was one of my favorite movies and I'd love to sit down with her and watch it again. Thank you for doing this amazing giveaway!! I would like to win because these are terrific movies that I would enjoy watching with my grandchildren. I grew up with these movies. 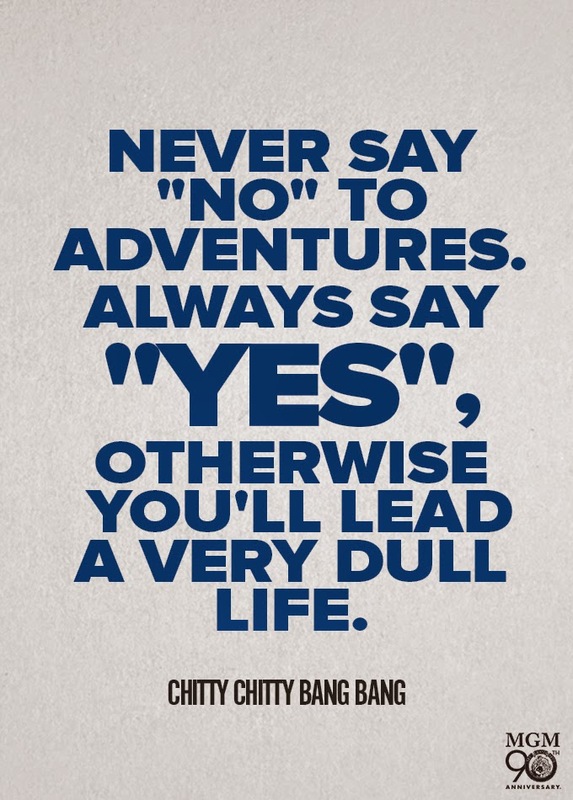 Chitty Chitty Bang Bang was a great favorite of mine. I love all 3 of the movies. I know my daughters will too if I win.